Newly Remolded! 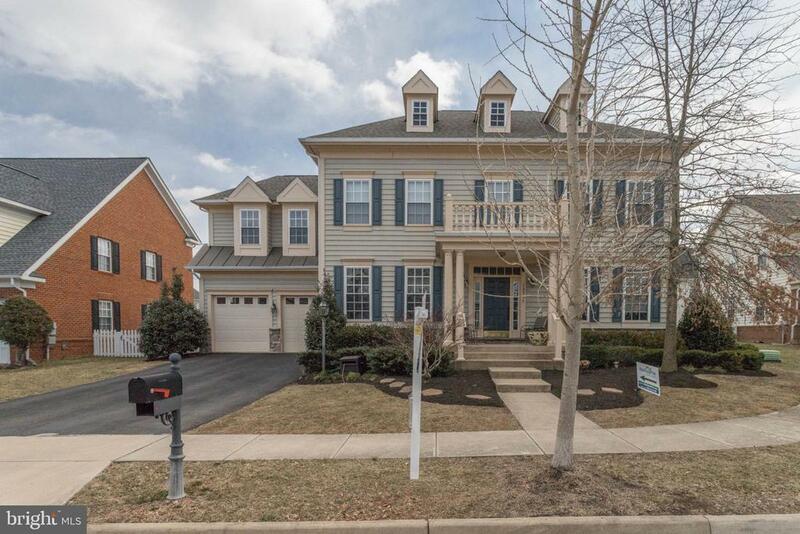 Gorgeous 5 bedroom, 4.5 bath single family home with two car garage located on a cul-de-sac in New Bristow Village. Newly finished hardwood floors and new carpet throughout. A soaring foyer will lead your guests to sophisticated living areas. Living room is set apart for formal entertaining. Elegant dining room will host meals for friends and family. Remodeled gourmet kitchen with new stainless-steel appliances, granite counters, beautiful cabinets, ceramic tile back-splash, kitchen island, pantry, and recessed lighting. Bright breakfast room opens onto patio to expand leisure activities to the outdoors. Huge open family room with a gas fireplace where you can get away without going away. Laundry room with utility sink is conveniently located off kitchen. Master bedroom suite provides an over-sized walk-in closet and private, fully renovated luxury bath. Spacious secondary bedrooms with plenty of room for sleep, storage or play. Updated baths, fresh paint, light fixtures throughout home. Finished lower level provides two dens, full bath and recreation room with stone walk-up stairs to backyard. Large fenced backyard with 20 x 17 cement patio is perfect when entertaining family and friends. Community amenities include ~ outdoor pool, tot lot, tennis courts and trails. Conveniently located to I-66, 234, Route 28, Prince William Parkway and VRE. Directions: I-66 W. Take the VA-234 Bus exit, EXIT 47A, toward Manassas. Merge onto Sudley Rd/VA-234. Turn right onto Sudley Manor Dr. Turn left onto Prince William Pkwy/VA-234 Byp. Merge onto Nokesville Rd/VA-28. Turn left onto Infantry Ln. Turn right onto General Cooke Dr. Take the 1st left onto Clara Barton Dr. Take the 1st right onto A.P. Hill Ct. 10935 A.P. HILL CT is on the left.